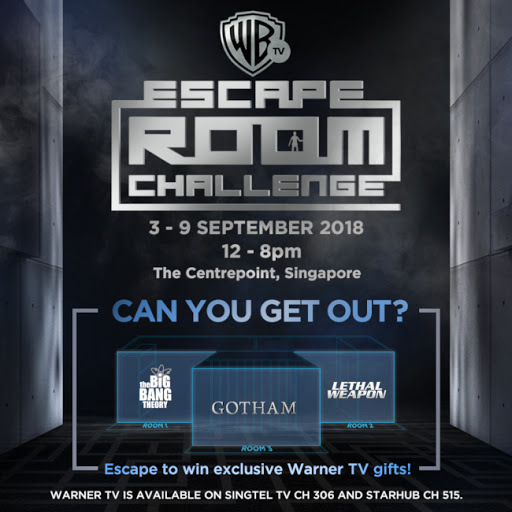 The Warner TV Escape Room Challenge is back!!! Help Sheldon Cooper locate his missing comic books! Deactivate the bomb before it hurts hundreds of innocent lives in the Central District! Escape Gotham City Police Department’s jail cells with your fellow cell mates! When professional cosplayer Leon Chiro was announced as a guest of STGCC 2017, a collective wave of squeals and happy sighs rippled through the local geek and cosplay communities. Who can blame them? After all, the Italian cosplayer does realistic performances of gaming and pop-culture characters, is absolutely shredded (Yum! ), interacts constantly with his fans, and has a cheeky sense of humour to boot! 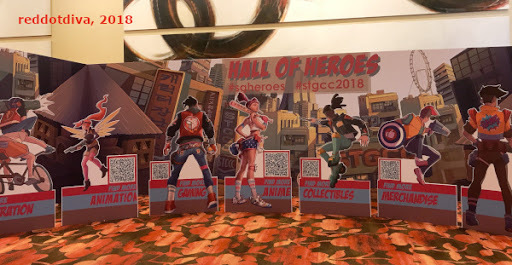 Leon Chiro's detailed and convincing cosplays have caught the eyes of many AAA gaming companies, and they have hired him as official cosplayers for their promotional activities and events. These companies include Ubisoft ("Assassin's Creed" / "Watch Dogs"), Square Enix ("Gladiolus - Final Fantasy XV" - a huge fan favourite! ), Capcom (honorary mention for his Dante) and many more. For the "Assassin's Creed" movie, Leon go to put on the mantel of Aguilar de Nerha and worked with 20th Century Fox on the film's promotional campaign, stunt work and official European launch events. 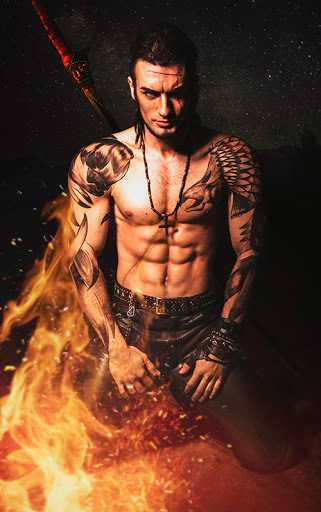 What attracted Red Dot Diva to Leon's cosplays were his confident, very true-to-life takes on characters, like Gaston from Disney's "Beauty and the Beast" and his playful spins to existing personas, for instance, Baywatch Gladio. He even does a spot-on Leon version of Saltbae! Leon Chiro is so popular in the gaming and cosplaying community that he gets invited to attend several conventions around the world - about 3 to 4 shows a month! In many of these events, he is asked to judge cosplay competitions as well, and at STGCC, Leon will be one of the judges for the Championship of Cosplay 2017! Diva Visited GnB Comic's Spanking New Place for Halloween Comics Fest! Yesterday (29 October 2016), Red Dot Diva visited GnB Comic's spankin' brand new shop at Kitchener Complex for Halloween Comics Fest! 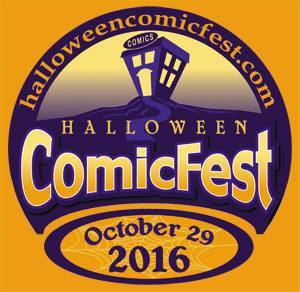 Halloween Comics Fest is an annual worldwide event when free horror comic books are given out to fans of all ages at participating stores. This was also Red Dot Diva's first time attending the celebration. One of the few comics bookstores existing in Red Dot Island, GnB Comics has been operating at Rochor Centre for several years. Unfortunately, the blocks of old but colourful apartments and shops were marked for demolition, and as that time drew nearer, fans and members of GnB were getting twitchy wondering if the shop will carry on at another site or close its shutters for good. Then, in late September, a surprise announcement was made on GnB Comics' mobile app. The comic book store has found a new home at Kitchener Complex, which is just a hop and a skip away from Lavender MRT Station! Woohoo! The gathering was not held on May the Fourth itself, since that will be a working Wednesday, and Red Dot Island fans are practical folks who do need to clock into their day jobs. 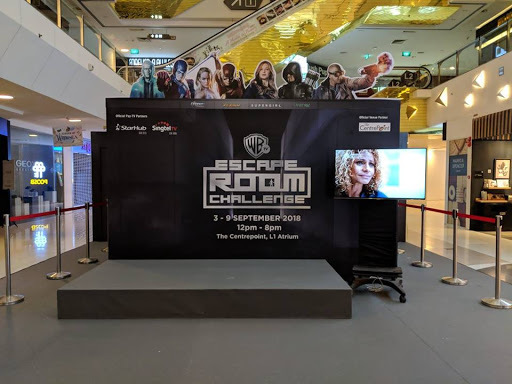 However, the May the Fourth event that kicked off earlier today at OCBC Square, Singapore Sports Hub, was a good way to get your Star Wars fix. At least until the next Resistance. Calling all Star Wars fans in Red Dot Island! Join the local geekdom in an early early May the Fourth celebration of all things Star Wars this weekend. 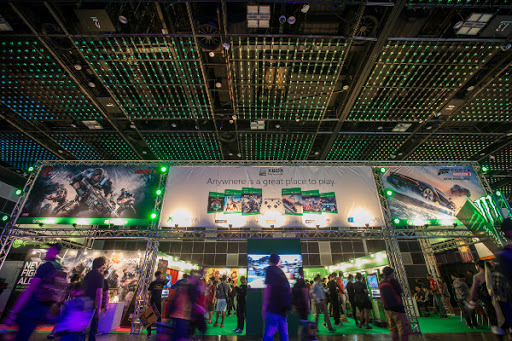 Organized by fans, the event is held on 30 April and 1 May at OCBC Square, Singapore Sports Hub, 11 AM to 8 PM. 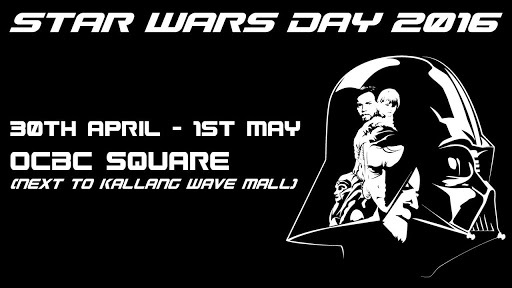 For this year's May the Fourth or Star Wars Day, the list of activities include the largest display of Star Wars toys here, a show consisting of artist fan art, commissioned artworks as well as character sketches by the Band of Doodlers, Jashorn Lee and Rachta Lin, as well as exciting lightsaber performances + workshops on stage by FightSaber. 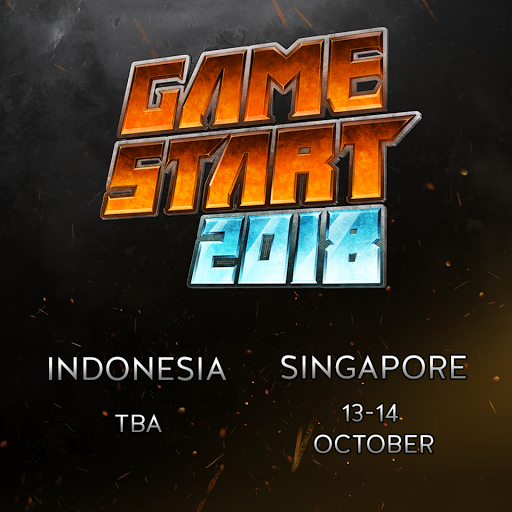 Of course, there will also be appearances and photo opportunities with your favourite Star Wars characters, courtesy of 501st Legion Singapore Garrison and Cathar Outpost - Rebel Legion. What's new this year is a panel with Lucasfilm Singapore artists who have worked on the most recent movie "Star Wars: The Force Awakens". Red Dot Diva thinks this is definitely worth attending for those who are interested to know more about the magic that happens behind the scenes. Everyone should know this by now: The Wizarding World of Harry Potter is not just for kids. For one thing, many of the young 'uns are now already grown up and still retain their love for the best-selling book series by J.K. Rowling. And for another, many many adults are seriously into the Harry Potter universe right from the beginning! Red Dot Diva readily admits she is one of these "older kids". 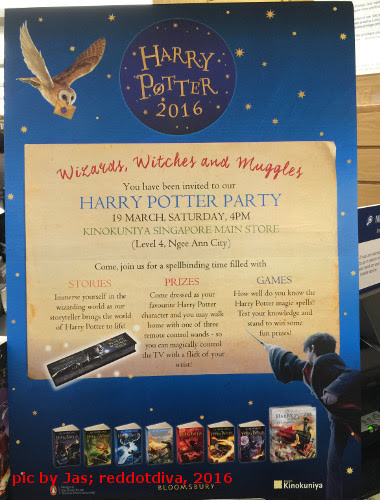 Yesterday afternoon, Kinokuniya held a Harry Potter Party where there was story-telling and fun activities related to the books. Red Dot Diva's friend and "older kid" Jas swooped in on her broom to the bash, and she conjured up this report of all the wizardy that transpired that day! 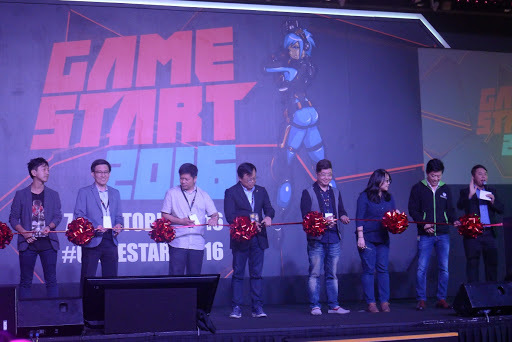 STGCC 2015: Media Preview with Adam Hughes, Huck Gee and Stella Chuu at the Flashy New DC Superheroes Cafe! To be honest, Red Dot Diva wanted to type in "Spanking New" in this article's header, but she did not want no DC Superheroes suddenly crashing into her room and delivering the necessary punishment. Master and super-popular artist Adam Hughes was announced as a guest for this year's STGCC a few months back, and comic book fans here have been patiently waiting for the convention weekend to arrive. 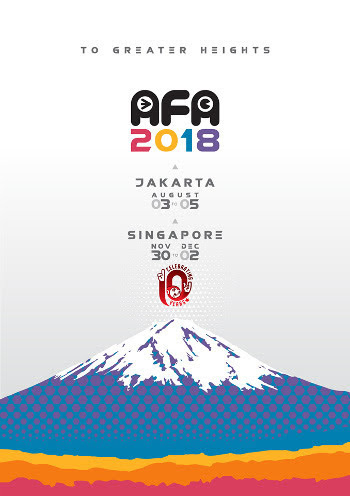 The two-day convention will kick off this Saturday 12 September, and earlier today, Adam Hughes and his wife Allison Sohn have finally arrived in Red Dot Island after a super long 20-hour flight from the U.S.A! They must have heard about the traditional pre-convention guest dinner, which consists of dishes of local yummies, including the "must-have" chilli crab! 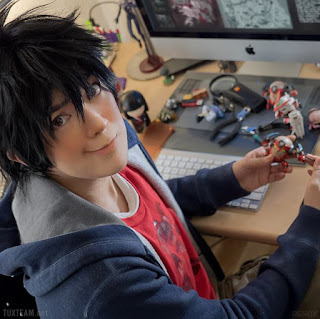 ICDS 2015: Diva's Interview with Special Guest, Cosplayer Jin (BehindInfinity)! 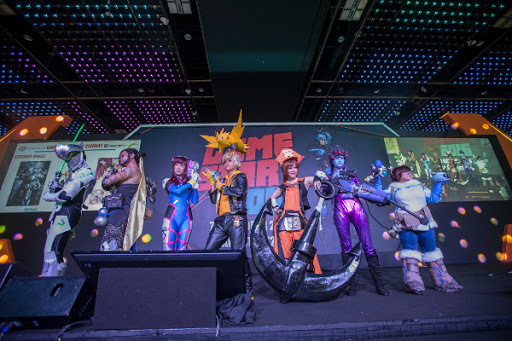 This year's International Cosplay Day Singapore (ICDS) was held on 21 and 22 August at SCAPE. 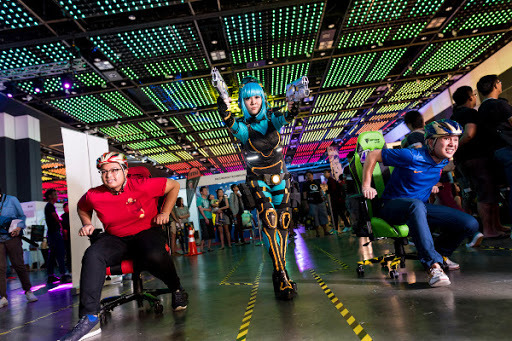 The annual event is a lively celebration of cosplay and friendship, with a cosplay competition, a small range of exhibitor booths, a doujin market, panels, cosplay chess, quizzes and even exciting lightsabre fight displays on stage, courtesy of the performance group called FightSabre. Just before doors opened for ICDS attendees at 10AM, Red Dot Diva arrived at SCAPE, eager to meet Jin in person. Jin was already backstage, dressed in her cosplay as the wizard Howl Jenkins Pendragon from Studio Ghibli's "How's Moving Castle". 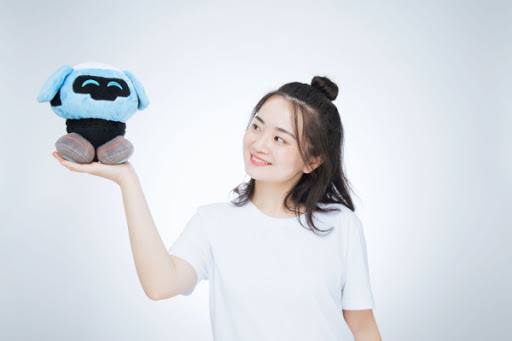 There was still spare time before her meet-and-greet with the fans, which made it the most appropriate opportunity for Red Dot Diva to find out more about Jin and her adventures in the cosplay community.